Join the global movement to give back to the community during Giving Tuesday in November. Tuesday, November 27, the Tuesday after Thanksgiving, is an international giving day. 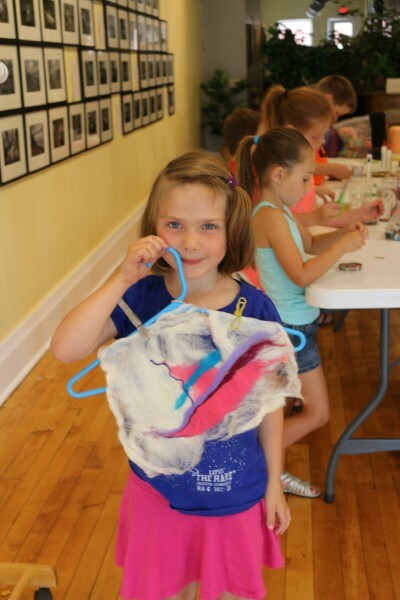 This year, the Arts Council for Wyoming County will use the money raised this Giving Tuesday to fund our Summer Art Camp. Every year, teachers bring together students from throughout the region for a week focused on the arts - whether it is hosting a dance class, painting, binding books, dyeing yarn, playing drums, and doing nearly a dozen art projects, the week ends in an art exhibition of the students work. The money raised during Giving Tuesday will help the Arts Council for Wyoming County to buy new arts supplies for students, bring in guest teachers, and bring in new arts, crafts, and music to kids. Any donation is appreciated during Giving Tuesday during the Arts Council for Wyoming County's Giving November!